Super Savings Item! 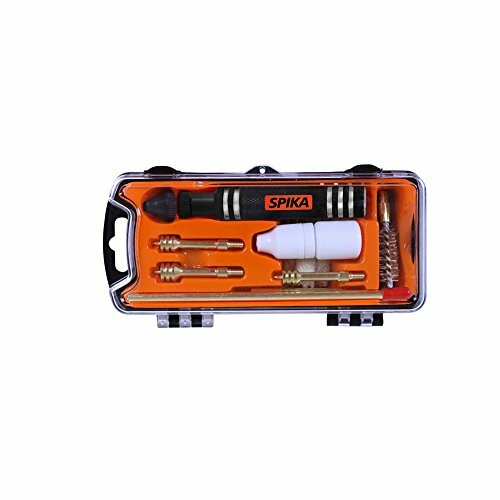 Save 39% on the SPIKA Compact Pistol Cleaning Kit for 9mm/.357/.38 cal.40/.41 .44/.45 cal Hand gun Cleaning Kit by SPIKA at Practical Tactical Podcast. MPN: CPK09P01. Hurry! Limited time offer. Offer valid only while supplies last. 100% RISK FREE PURCHASE: at SPIKA it's all about helping you GET OUTSIDE,Each one of the products comes with a 1-year warranty ,If you have any issue with the cleaning kit, do not hesitate to contact us - your satisfaction is paramount!